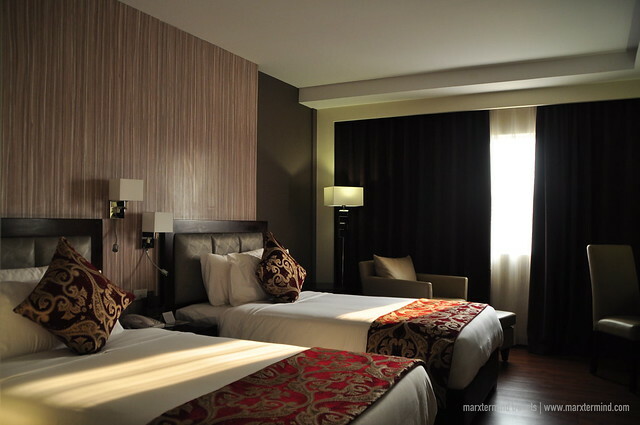 What is your type of hotel accommodation? What are the things that you consider when booking for a place to stay? Whatever factors do you have when choosing for an accommodation whether for business or leisure; I believe I can say it has to be smart. 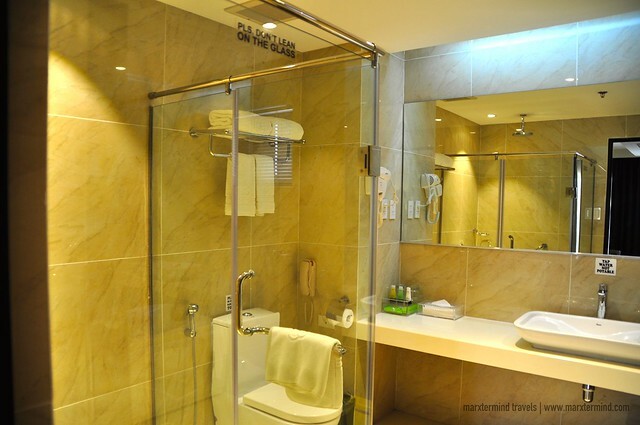 Smart in a sense that it is affordable yet providing a superior comfort and service. 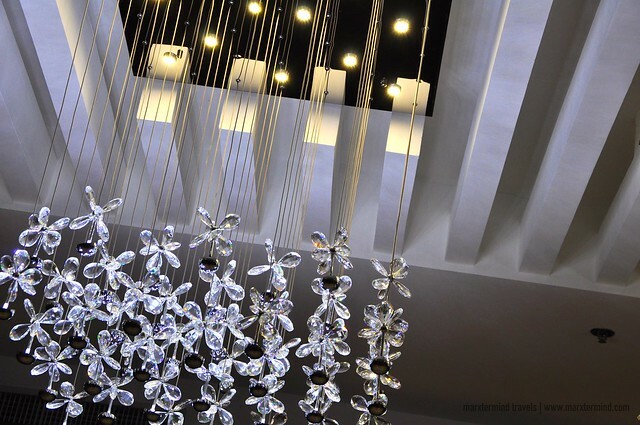 Brentwood Suites is one of the hotels that I’ve found that holds such quality. 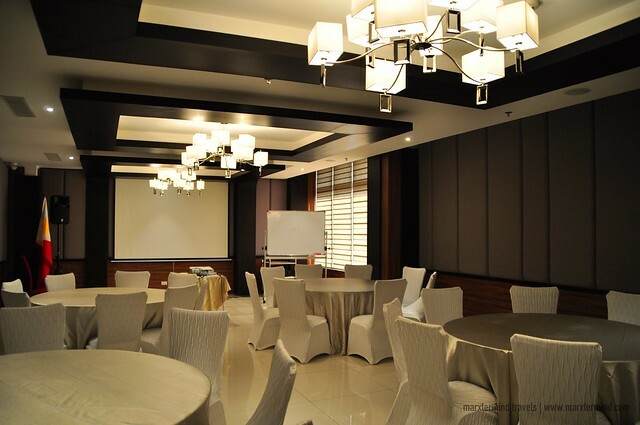 This hotel in Quezon City offers tasteful and urban accommodation in reasonable price. 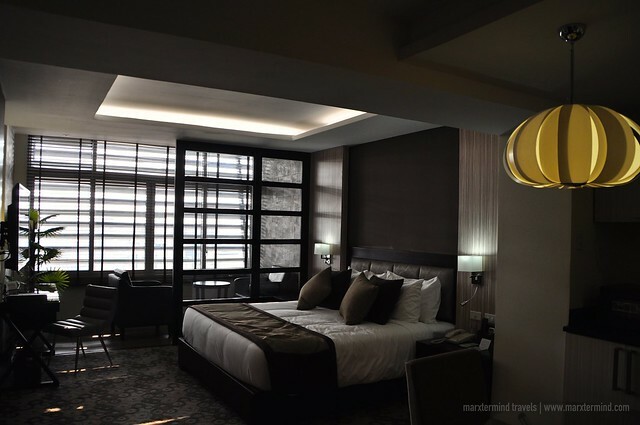 Together with my travel friends, it was one weekend in February that I was able to experience staying at Brentwood Suites. 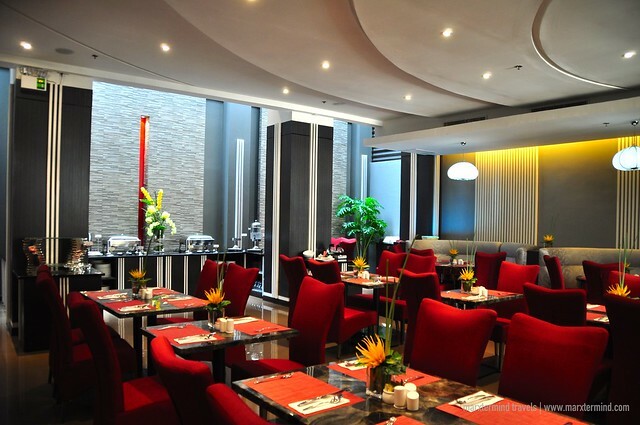 The hotel is located nearby the newly opened Fisher Mall, and just a few walks away from Quezon Avenue. It was already 3:00 PM when we were able to get to the hotel. Checking in was a breeze. Just after filling up the guest info sheet, our respective key card was then given to us. Our group was provided with three superior rooms for us to spend in. 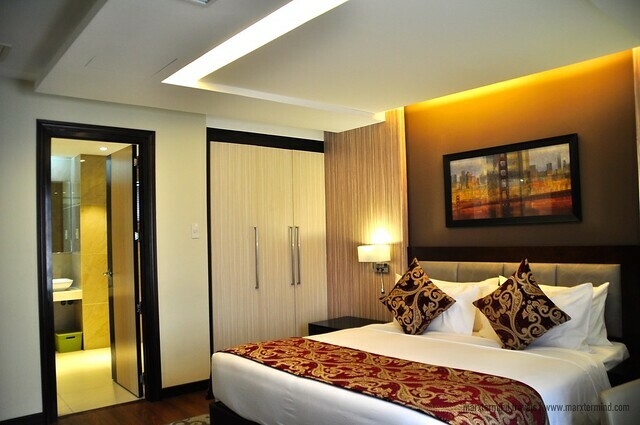 The superior room is spacious and clean. It is devised with pleasing interior and nice furniture. 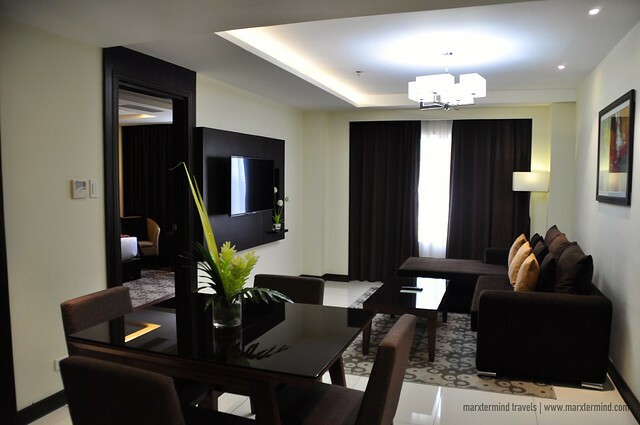 The setting of the room had just made me reassure that I’ll have a great stay on this part of the metro, and I had indeed. The room has two twin beds. 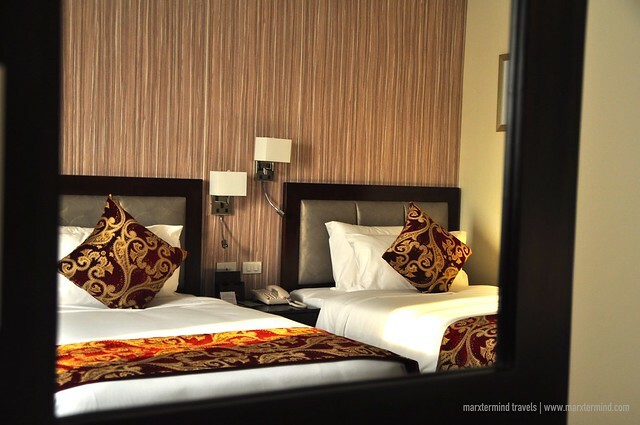 The beds were so comforting that I would just wanted to lie down all day and have a good weekend rest. All guest rooms in Brentwood Suites are equipped with private toilet and bath, mini-bar, cable TV, phone, and free Wi-Fi Internet access. 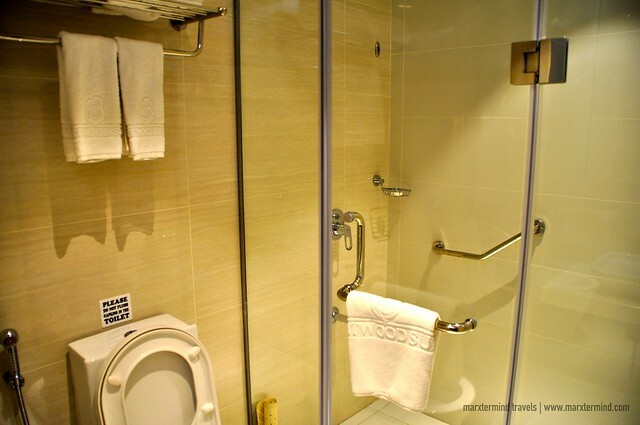 The bathroom comes with complete bath amenities. 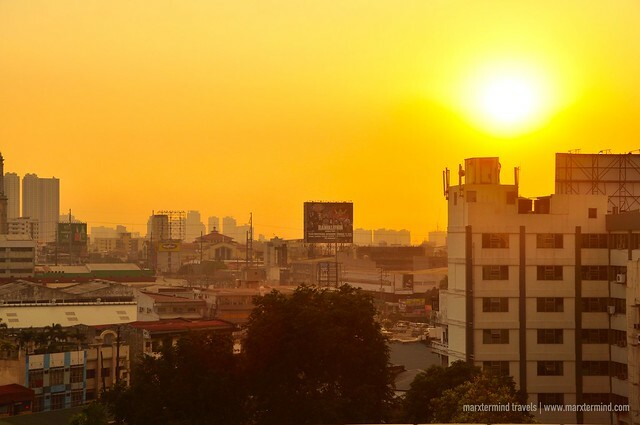 I was too lucky that my room was facing west giving me a splendid view of the sunset. Before the day had ended, our group had able to have a chance to check other rooms that the hotel offers. Brentwood Suites currently has 75 guest rooms that are grouped into Superior, Premier, Junior and Executive Suites. Amongst all rooms that we were able to check, it is the Junior Suite in the Penthouse that my friend, Carla of blissfulguro.com, and I had agreed most admirable for us. We couldn’t just hide our excitement seeing how tasteful the Junior Suite is. The interior is just so outstanding and soothing to the eye. 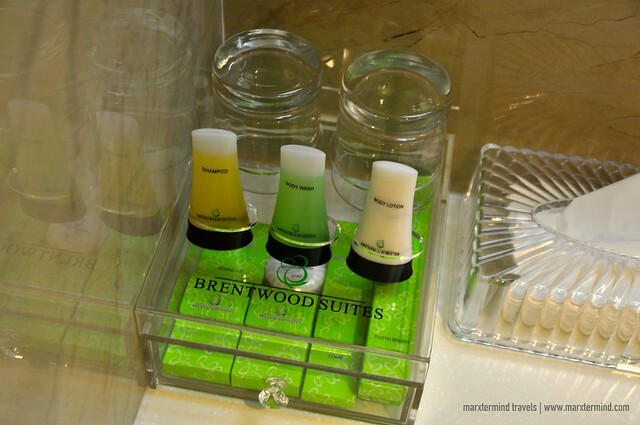 Brentwood Suites provides facilities and services to make guests feel extra comfortable throughout their stay. 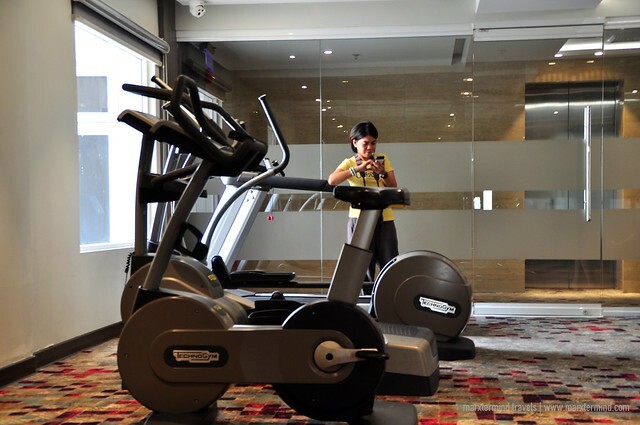 The hotel has a restaurant, meeting rooms, business center, gym and spa, 24-hour front desk and day-and-night security. We planned to pay a visit to the gym again the next day but that didn’t happen after soaking ourselves with drinks last night. I guess everyone just wanted to have a great weekend stay by lounging inside our rooms. 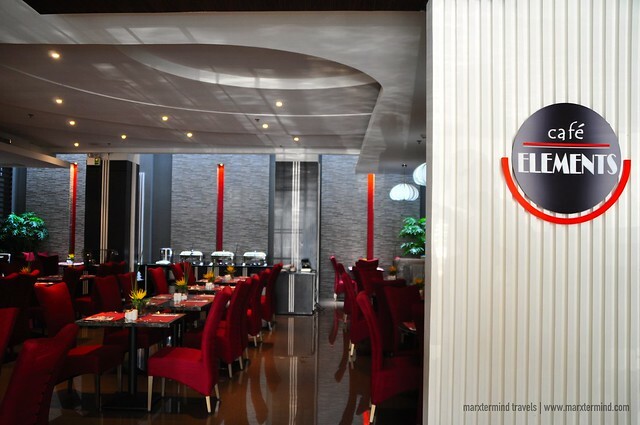 Café Elements is the hotel’s resident restaurant that offers Filipino, Asian, and Western dishes. We didn’t able to try to eat at the restaurant during lunch and dinner but we were able to have breakfast here, which comes inclusive for each of the hotel guests. Breakfast is in buffet style. 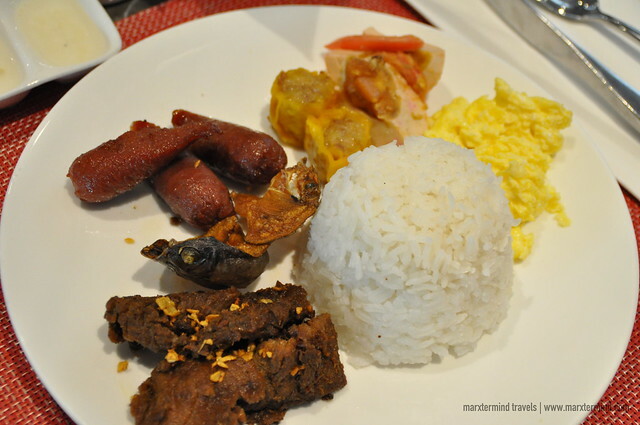 The buffet table is filled with some of our favorite Filipino dishes like longanisa, tapa, dried fish, salted egg and fried rice. 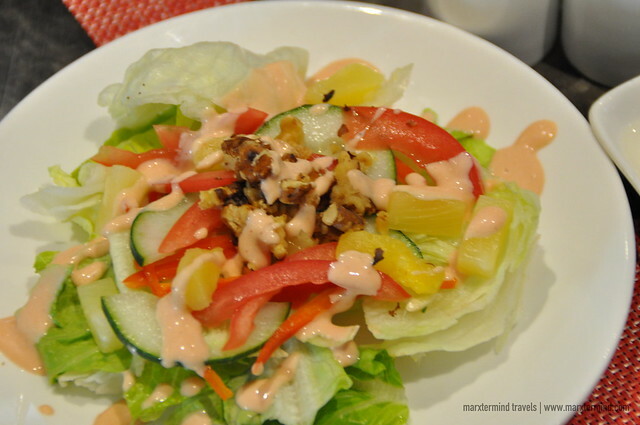 Aside from that, they also have siomai, salad, bread, cereals and fruits. Breakfast is open to serve from 7:00 AM to 10:00 AM. 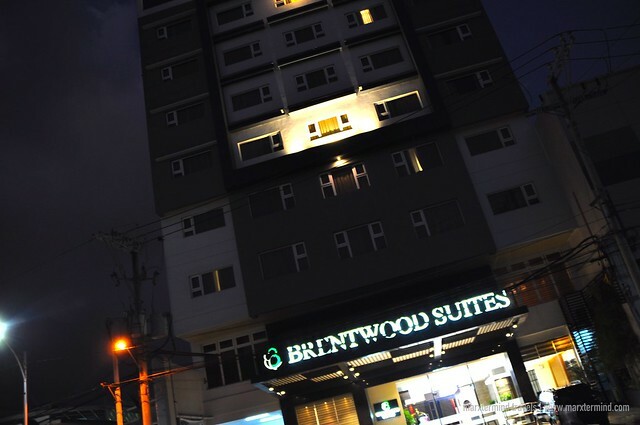 Apart from the stylish rooms, convenient facilities and delightful restaurant, what makes Brentwood Suites a smart choice for accommodation is their service. I must say attendants of this hotel are so helpful. 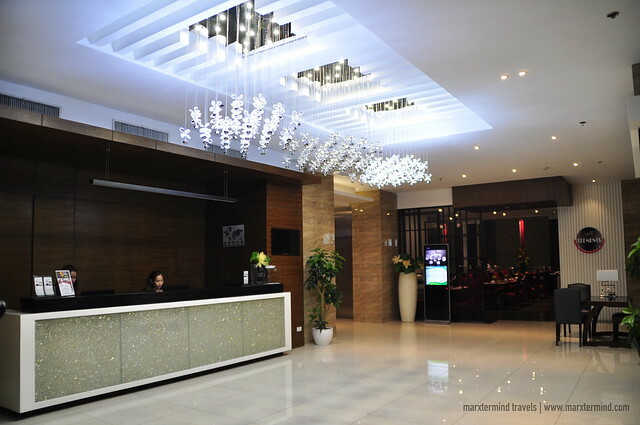 The staffs are easy to approach and very accommodating. 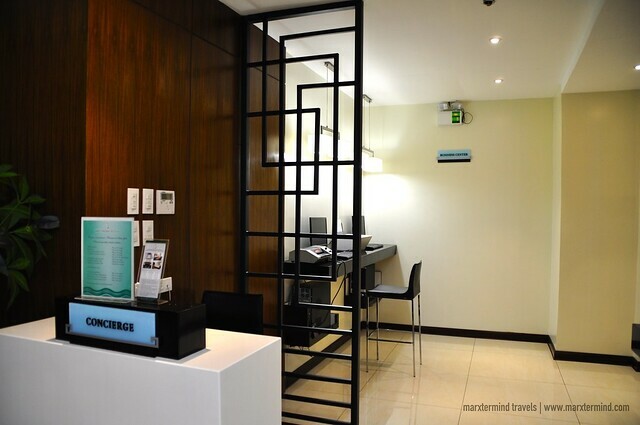 Brentwood Suites offers smart accommodation by providing convenience, comfort, security and affordability. 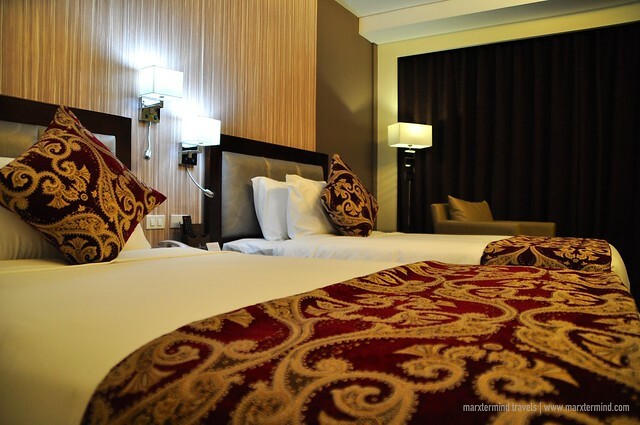 Indeed an ideal choice for hotel accommodation, whether it’s a business or leisure trip.